As part of my partnership with GE, I received coupons for my GE light bulbs. All opinions posted about my GE Lighting experience are my own. 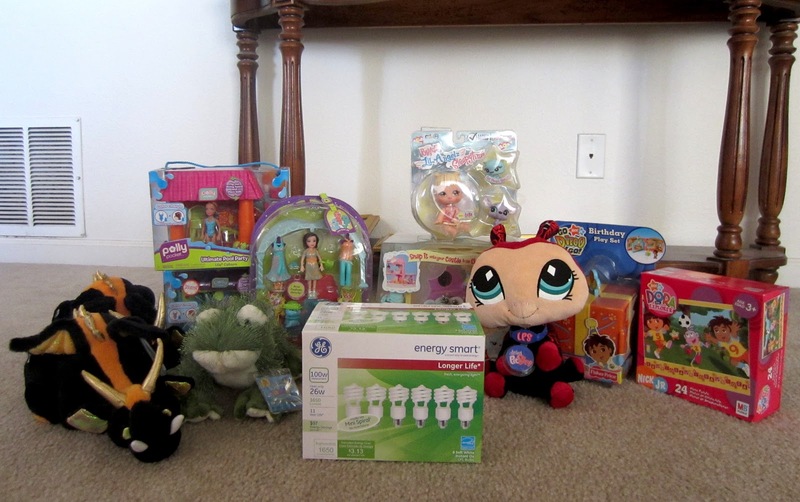 Last week, Faith and I went shopping for our simple service project, thanks to GE Lighting and Champions for Kids. We purchased energy saving lightbulbs to donate. This week, we headed out (along with Ben) to drop off our donation to the charity of our choice. The three of us looked at lots of charities, trying to pick just one, when we decided on our local USO on Fort Carson. The USO here offers tons of programs for the soldiers and for the families. 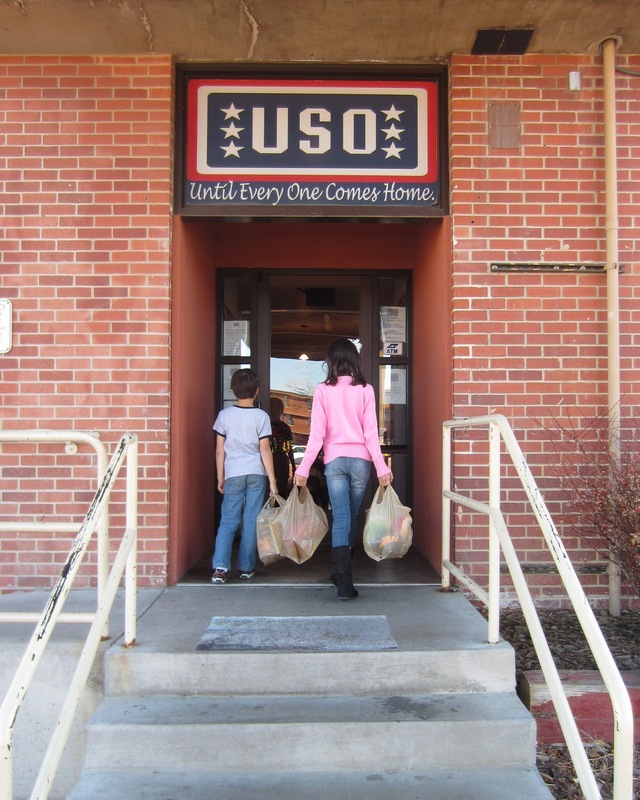 They offer Saturday craft days for the kids, a "take what you want, bring what you want library" for all ages, a playroom for kids, a Christmas party for the soldiers and families, meals and events, they even sponsor a Sesame Street Live tour focusing on military families. I decided to wait until F&B were home from school before we dropped off the donations, so they could come with me. 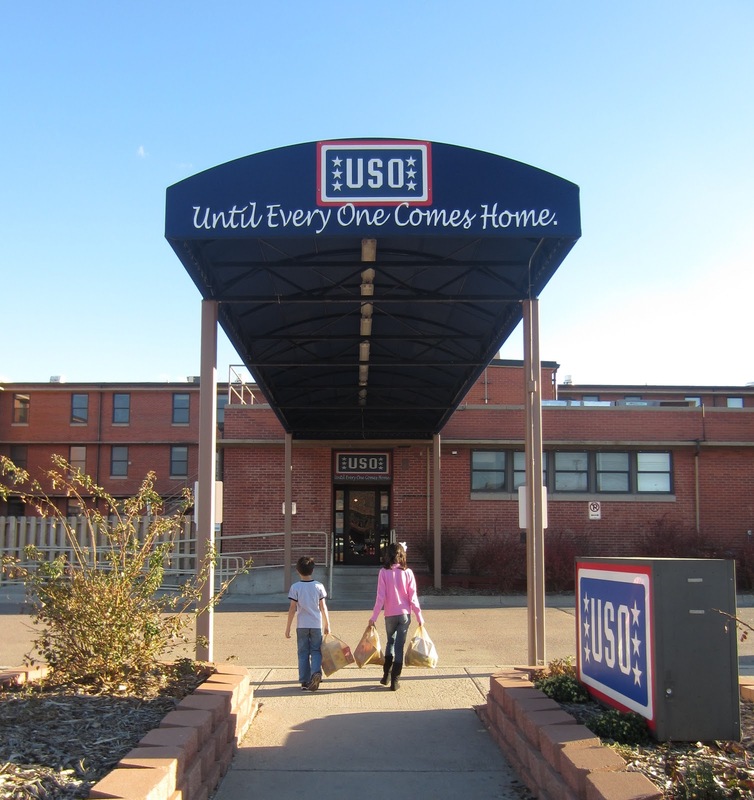 We packed everything up and headed over to the USO, which is conveniently located a couple minutes from our house on post. The manager I spoke to wasn't there, but the assistant manager was so sweet and the kids were excited to bring in our donations to her! I personally love the idea that those 6 light bulbs could save close to $600 that could be put towards more of the awesome work they do! What about you? Have you done a simple service project before? Will you? I'd love to hear about it! 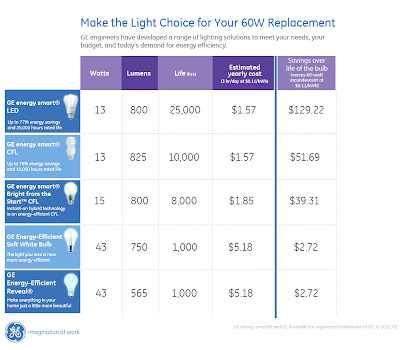 What can you save by switching? For more information on GE, follow them on Twitter and Facebook. As well, you can learn more about Champions for Kids on Twitter and Facebook too. GE also has lessons plans available regarding energy efficiency! Faith has a science project coming up, so I need to read over those for more ideas. 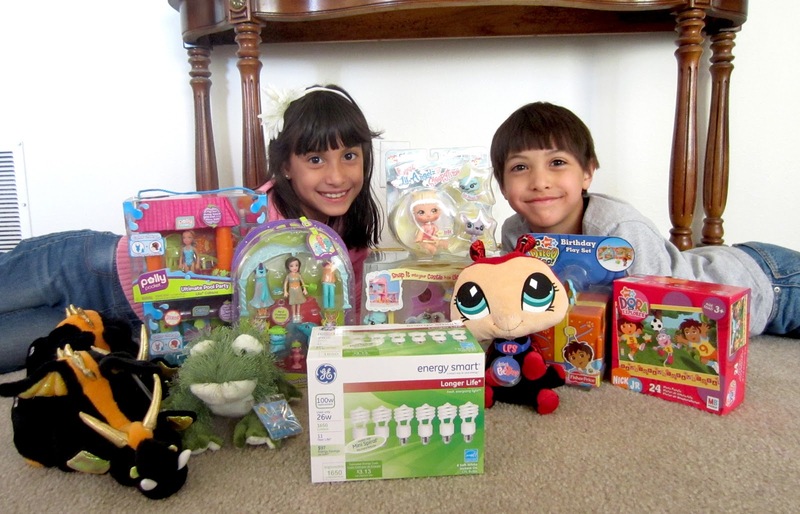 Genius to shop year round for donation toys! Love that the kids were involved in the process. Also love that you picked the USO. Not living close to one I had no idea how many cool things they did! Before we moved on post, I had no idea either. I knew about what they did for the troops overseas or traveling, but the local ones really do so much for the families too.